The purchase of app downloads is an extremely popular measure to achieve a top app placement in one of the categories. Through a massive download increase of your app in a short time you will increase your ranking in a short time, making your app visible in the upper chart lists, through the increased placement you get more organic downloads, which automatically leads to an increase in sales. Your competitors have been buying Android downloads for a long time to get a better ranking for their app in the Google Playstore. Buy Google Playstore Downloads - how does it work exactly? Buying Google Playstore Downloads can seem a little frivolous, right? We are aware of this, but we have been doing it successfully for more than 7 years. We direct traffic from a network of existing websites and other traffic sources until the app reaches the desired number of downloads. If you are running a paid Adwords campaign, there is no danger to your app. But in order to be able to deliver your downloads on time, you should deactivate them during delivery. Can my app be deleted if I buy downloads? We can guarantee that in more than 7 years, no app has been blocked due to our activities. If you have further questions regarding this topic, please contact our support. Do you work with applications that are not allowed for Google Adwords? Yes. We work independently of Google Adwords, so if you have an app that is not allowed for Google Ads, we can help you grow. Can it happen that Google deletes purchased downloads? You will always receive more downloads than ordered with every order. In 7 years, however, there have been no deletions so far. Clearly no! 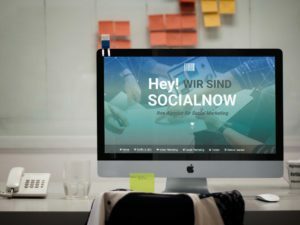 Socialnow doesn’t belong to Google. We do not represent any of the social networks listed here that are the subject of our services. All trade names and logos are property of the respective network. There is no cooperation with the social networks.